Trumpet-shaped, pink with yellowish center. 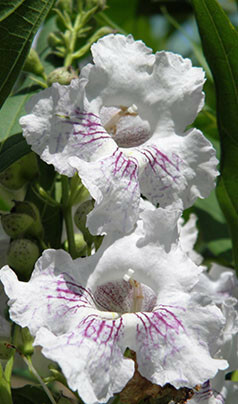 Starts flowering in May-June and extends until frost. Attract butterflies, bees and hummingbirds.